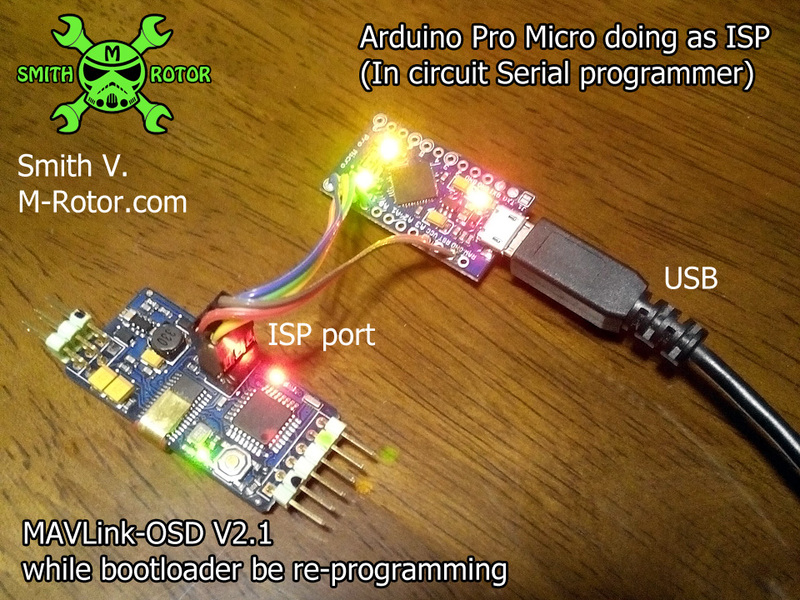 Mar 31, 2015 I build one arduino as ISP (in circuit serial programming) that can program other arduino, both firmware and boot-loader. 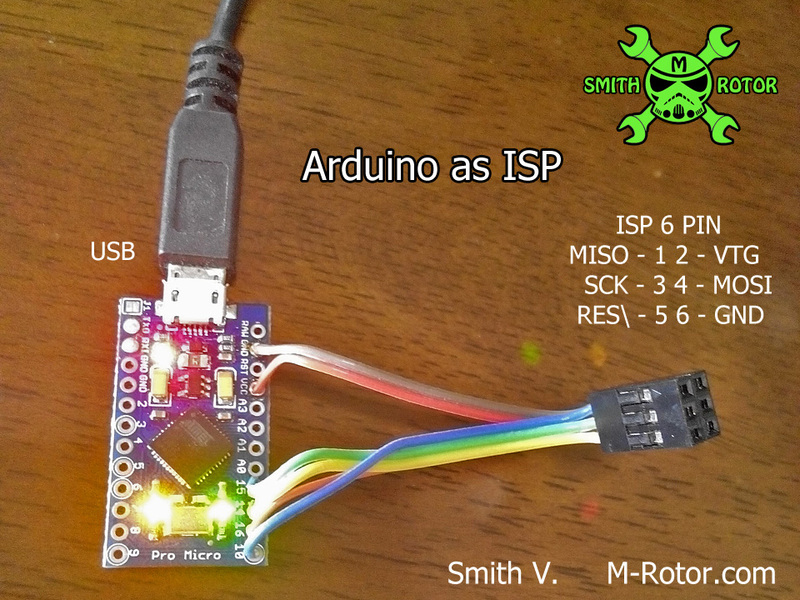 Normally arduino board can upload firmware by use software arduino via FTDI USB. but when boot-loader of arduino board was lost, it can not upload by arduino software via FTDI anymore. So i build one “arduino Pro Micro” doing as ISP for rescue other arduino board. This arduino as ISP can re-program all board in this photo , you can see that other board have 6PIN-ISP. indeed it can re-program most of arduino board. 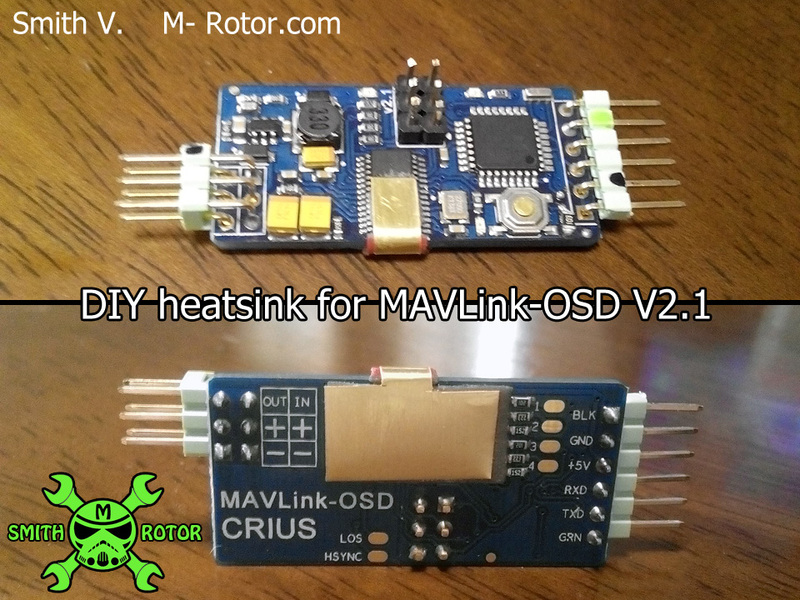 and i found that MAX7456 in board MAVLink-OSD, it so hot while operation, So i build heatsink for it . 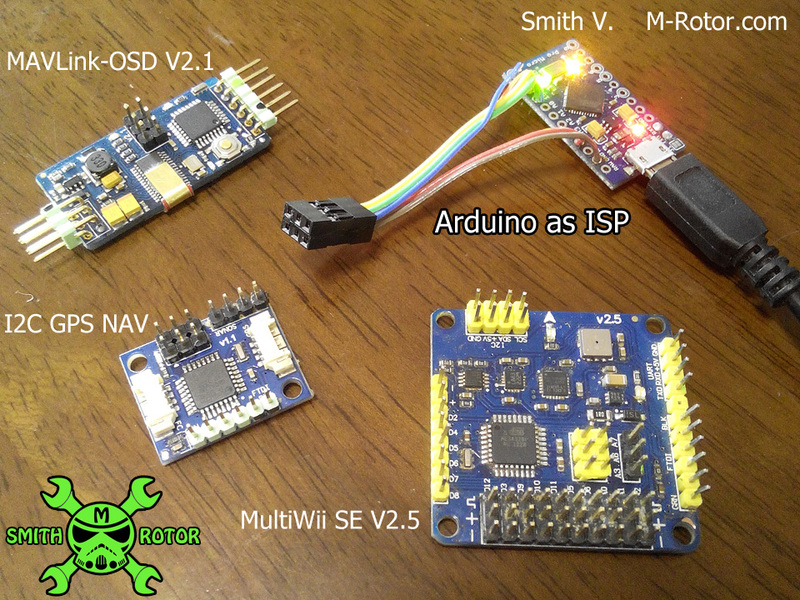 MavLink-OSD V2.1 that lost it bootloader and firmware, it was re-programmed bootloader by my build arduino-ISP. Thank you for every other informative site. Where else may I am getting that kind of information written in such an ideal approach? I’ve a challenge that I’m just now working on, and I have been on the look out for such info. wonderful points altogether, you simply gained a logo new reader. What may you recommend about your publish that you just made a few days ago? Any certain?